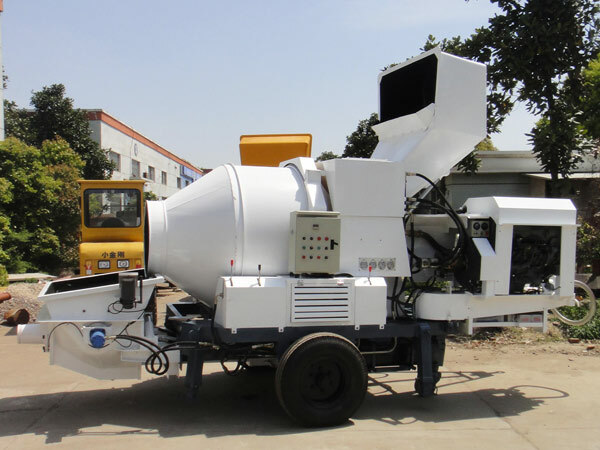 Most of construction projects need certain amount of concrete to launch the work, and users often seek help from modern equipment like single shaft concrete mixer instead of only relying on human work. However, it is still hard for users to deliver concrete to higher and remoter places, which necessarily involves the participation of concrete pumps, such as trailer concrete pump, electric concrete pump and diesel concrete mixer with pump. Under such circumstances, concrete mixer with pump was invented to alleviate the labor intensity and user’s financial burden. Diesel concrete mixer with pump is a hot construction equipment of Aimix Group, which has been sent to many countries owing to its high availability, good mixing and pumping performance, low energy consumption, easy installation and delivery. With different launching mode, concrete mixer with pump is divided into electric and diesel concrete mixer with pump. 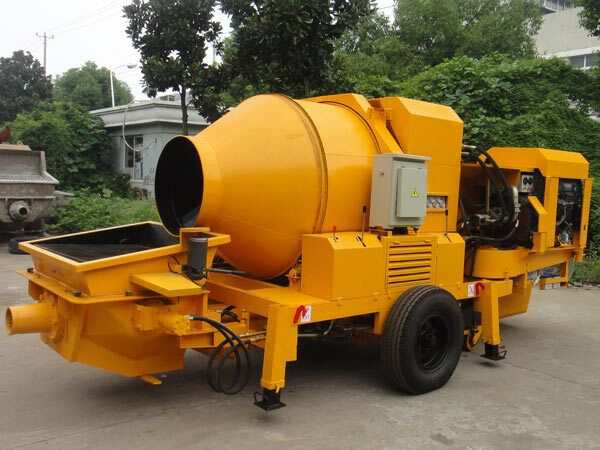 Apparently, diesel concrete mixer with pump mainly adopts diesel as its operation motivation, which is particularly suitable for areas without electricity or lacking of electricity. All different materials are conveyed into the mixing drum by a wheel loader to blend at the very beginning, and it is mixed in positive rotation and discharges into the pump tank in opposite direction. Then, concrete is delivered to the needed place through pipelines under pressures. After working, users need to timely wash the mixing drum, pump tank and pipelines to avoid the consolidation of concrete thus affect the following production work. JB series diesel concrete mixer with pumps are our main models, such as JB30 and JB40. Except for that, Aimix Group also offers HBT electric concrete pump and JBS series electric concrete pumps for sale. All these concrete pumps for sale belong to mobile concrete pump, and JB diesel concrete mixer with pump and JBS electric concrete mixer pump belong to mobile concrete mixer with pump, which are convenient to be moved from one place to another. Capacities of our diesel concrete mixer pumps vary from others, and customers may select the eight type with actual production need. 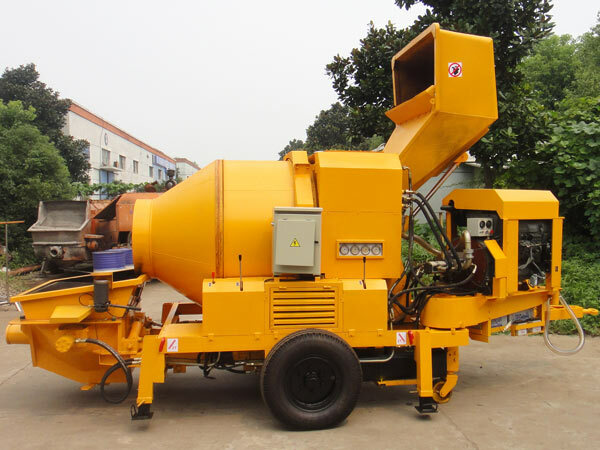 Our diesel concrete mixer with pump adopts world advanced production technique, which has first-class quality, low breakdown rate, high intelligent operation and low labor involvement. The adoption of superior S pipe distribution valves can automatically compensate the abrasion of the pump in the pumping process. The cylinder of our pump has long stroke, which largely extends the service life of the cylinder and piston. With helpful anti-pump function, our pump can largely eliminate the pipeline blocking failure, which totally ensures smooth and continuous pumping work.